Successful Public Administration runs on the trust of the constituents. Behavior that is seen as immoral, or unethical, creates public distrust and hurts the agency’s reputation. Too many administrators are forcing change based on their own perception of reality, no matter how unconstitutional or uncommon that perception may be. In effect, a corrupt atmosphere is formed based on that administrator’s actions and decisions. As administrator’s, we must be unbiased in our decisions and actions in an effort to focus on the voice of the populace, not on what we believe to be ideal for that populace. 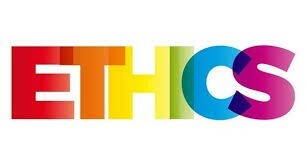 Ethics refers to a person’s moral character. Often morals and ethics are used interchangeably due to the similarity in scope. A person’s character is upheld as ethical when their behaviors are seen as socially acceptable and positive in relation to the populace. One major problem with proving ethical behavior is the lack of agreement among groups, especially in our current partisan-driven administration. This is why basic rules of conduct are put in place for the major items of concern. However, those rules of conduct are often gray, such as the common rule stating that an administrator cannot accept a “gift” as a result of their position. The structural idealist becomes unethical when they stop considering the wants and needs of the people and work towards the society that they view as the ideal society for the people. In today’s tumultuous political environment, many constituents have extreme viewpoints on right or wrong. Unfortunately, those viewpoints follow extremes at each end of the spectrum, often on party lines. An ethical violation by a structural idealist may not be in an effort to harm the people, but to better take care of those who can’t care for themselves. Ethics, in a psychological setting, is often a matter of opinion. Public Administrators with firm beliefs regarding a matter of interest (i.e. a border wall, immigration policy, welfare opportunities) often toe the line of ethical integrity and perform many duties behind the scenes in an effort to attain the ideal community. The differing opinions of each side are why a requirement exists for an ethics board, rather than a single person, to make a determination of questionable behavior. Like the Supreme Court of the United States, the board is preferably populated by a range of diverse people. Why then do our Congressional leaders rarely, if ever, have their actions questioned by a board of ethics? The answer lies in the method of our democratic republic. The people chose each representative with a seat in Congress to represent their interests. It is important to note that politicians often achieve office based on their main policy ideas. Most of the American voters lack the knowledge and political experience required to deduce a policy to a long-term political goal. When a constituent hears a policy based opinion, they routinely agree or disagree, and said agreements and disagreements form the basis for their vote. However, the methods of accountability for those in public office often lack truly reformative effects, as the sole accountability of elected officials is their re-election in two, four or six years. In addition, these same congressional members are those that often act as the overseeing board of ethics for the bureaucratic agencies in which the people have no control. Ethical concerns in government continue to be a rising issue in the United States. Heavy government intervention and restrictions only create a stronger atmosphere for underhanded dealings and an increase in corruption due to the added “red tape” to any process or procedure. Ethical accountability remains a matter which can be controlled by greater transparency of Public Administrators. In conclusion, for public administration to regain much of the lost respect and trust, administrators must shy away from structural idealism as a basis for their decisionmaking and ensure a strong ethical outlook. Administrators must ensure that their actions and decisions are transparent and ensure that they are based on the promises to the people, and to the wants of the people. Unethical choices are not solely based on the traditional methods of corruption (i.e. bribery, extortion, embezzlement, etc. ), but also on the underhanded decisions made when an administrator is working towards their own personal ideal society.